Abby Knight is an enjoyable character and funny at most times, but I find her to be comparable to the heroines in similar cozy-mystery themed series. As far as the complexity of solving the mystery itself, it is more pertinent for readers to solve the "hows" and "whys" behind the murder since we already know who the team players are. 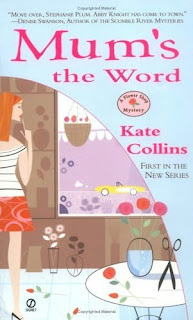 The climax surrounding the perp's capture of Abby at the end when she figures everything out falls into the typical cozy mystery formula, but is fun all the same. I'm not convinced I'll be reading more of Kate Collins' flower-shop series in the future due to its redundancy and similarity to other cozy mysteries, but it is still very enjoyable, and will speedily help pass the time!